If you’re like me, winter really dries out your skin. Cold weather and dry heat can wreak havoc on your skin. Add extra hand washing to avoid cold and flu season, and it can equal hands that feel like sand paper. I’ve tried a number of products over the years. The best I have ever found is O’Keeffe’s Working Hands. It has paraffin in the formula that helps keep moisture in. 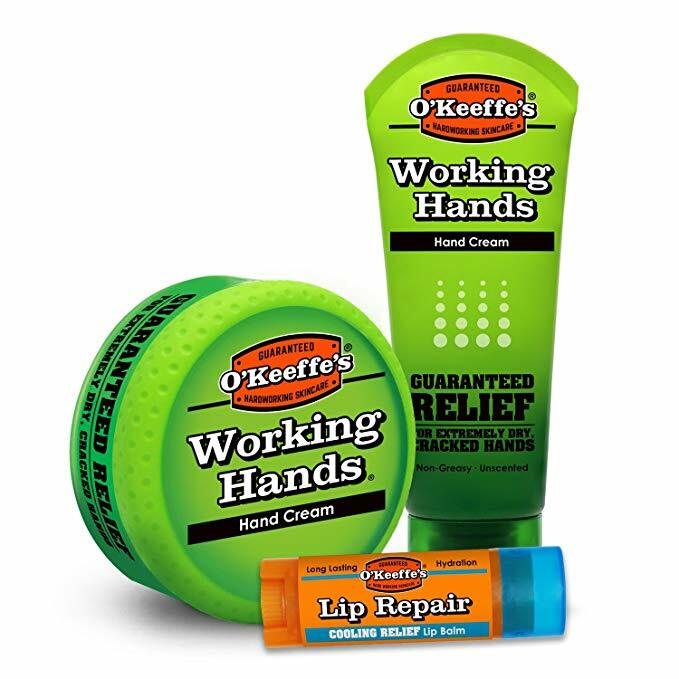 Rub this on after you wash your hands, and you won’t believe the difference. I also recommend putting it on before putting on gloves. The added heat keeps your hands soft even longer. Amazon has a 3-piece set, including lip balm, on sale now for $17.99. If you have drier feet in the winter too, try their foot cream. 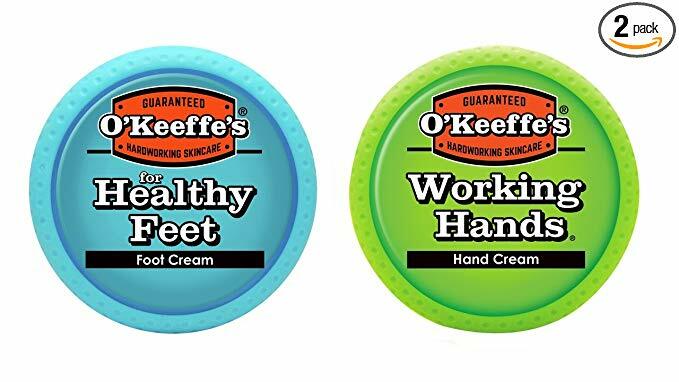 Amazon has the set of hand and foot cream on sale now for only $14.26. Put the foot cream on and put socks on before you go to bed. You’ll love the difference it makes in the morning.